This post may contain affiliate links (a girl's got to eat, right?). 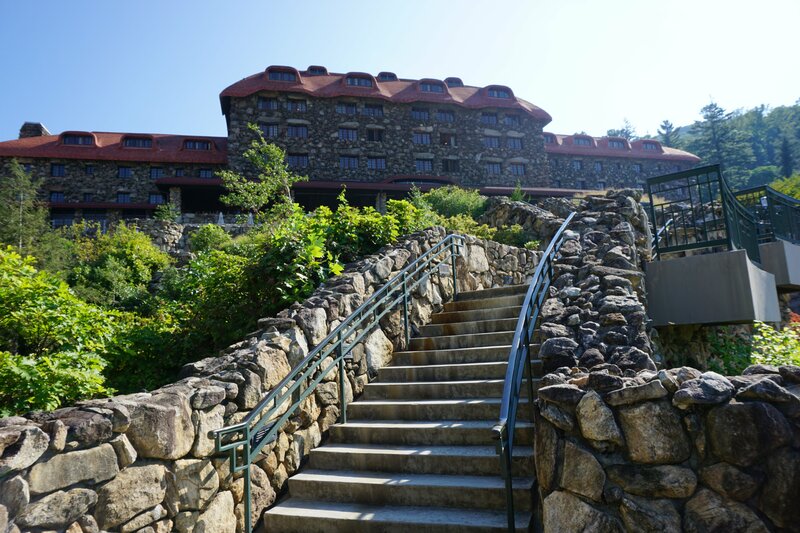 Wanderlusty Resorts in North Carolina Span from Coast to Coast! In need of some R&R? Lakeview at Fontana is a spa resort located on a hillside in Bryson City, overlooking Fontana Lake. Perhaps the most stunning feature of the resort is the option to rent a Treetop Soaking Cabana! Aromatic Dead Sea salts add calming and healing minerals to the relaxing soak. 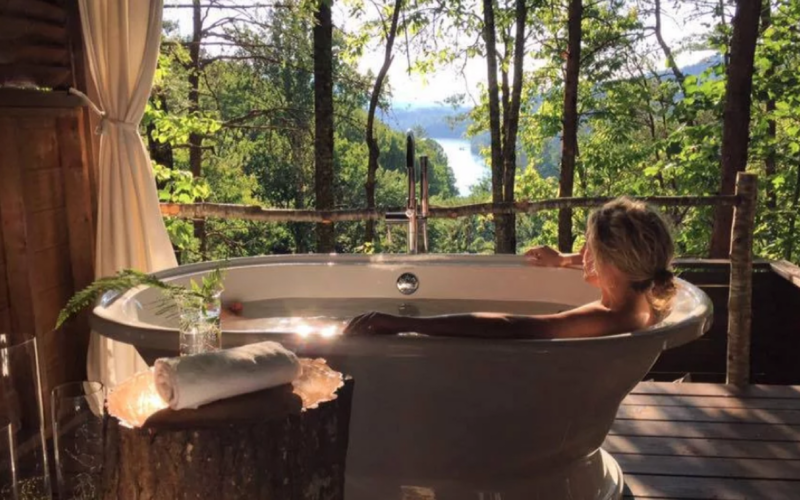 The soaking tub is big enough for two and offers a view of Fontana Lake and the Smoky Mountains. 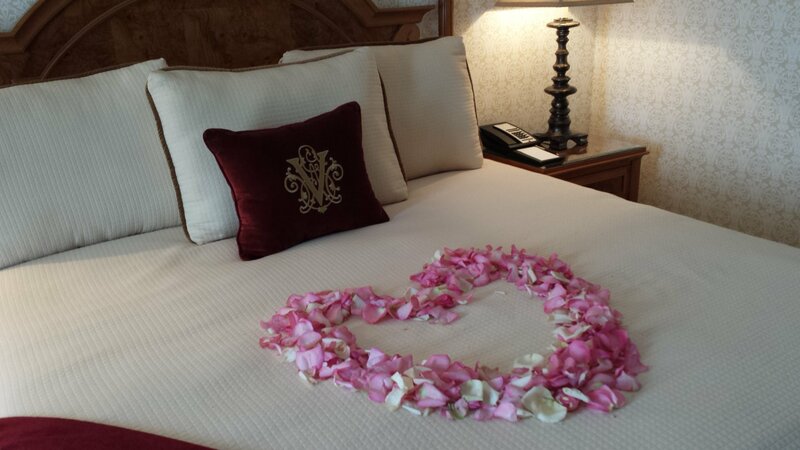 A plush robe and candles are included, plus champagne and rose petals can be added on. Book the soaking tub before or after a spa treatment. Spa treatments include a variety of massage options, facials and body treatments. This seems like a great place to disconnect as there are no televisions in the rooms! Don’t worry though – if you need a TV fix, head to the TV room with a glass of wine. Daily wine hour is included with reservations. Cheers! 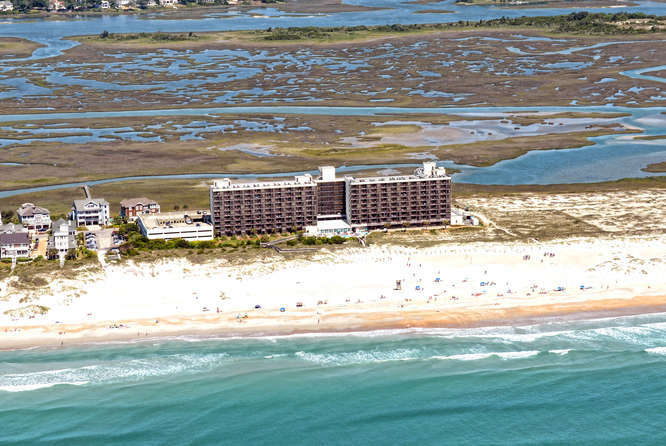 Located on the pristine Wrightsville beach, Shell Island Resort offers 100% oceanfront suites with a private balcony. 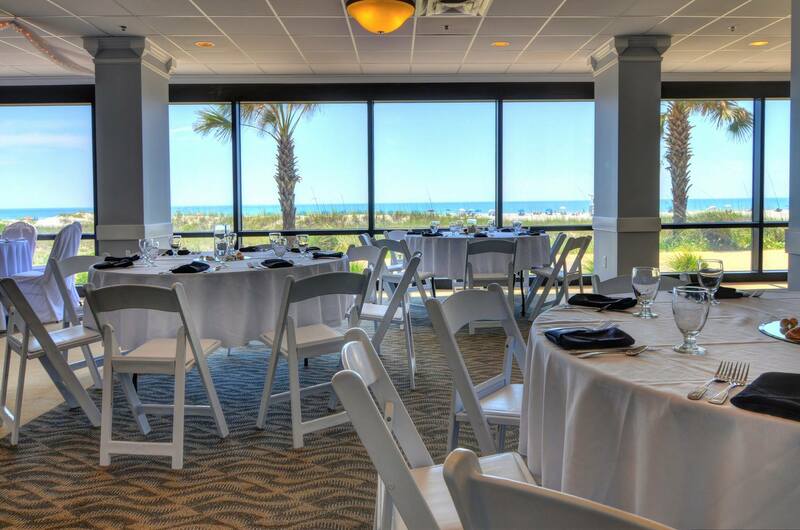 One of the perks of staying at Shell Island is being able to take an elevator downstairs to the onsite restaurant. Enjoy breakfast, lunch or dinner with spectacular ocean views. Melt away the summer heat with a yummy piña colada by the pool. If you are feeling adventurous, you can play volleyball or rent surfboards, paddleboards, kayaks and more to explore the ocean. This is the kind of hotel where brides-to-be dream of having their weddings. For one, there is an oceanfront ballroom that creates the perfect ambiance for the first dance. Even the elevator has a glass door showing off the surrounding beauty of the resort and Figure 8 island. I was fortunate enough to attend a wedding at Shell Island and it was absolutely gorgeous. The service is great and the bride got amazing photos. 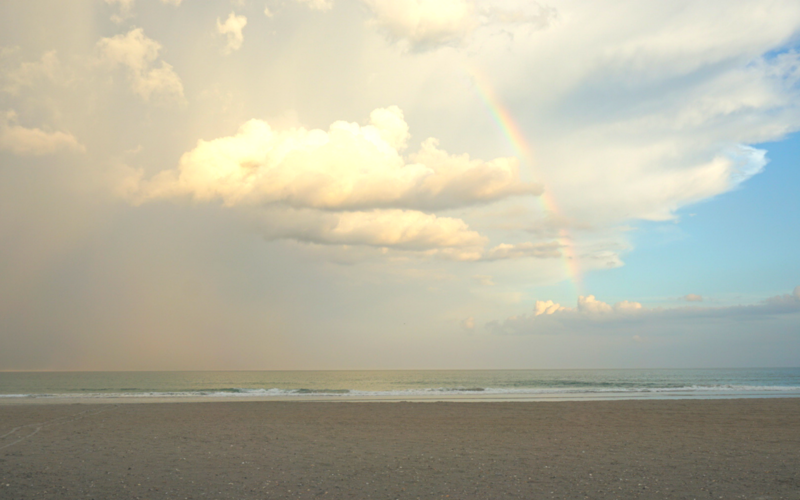 A rainy beginning turned into a beach wedding with a rainbow (see image above). What a lucky wedding day! 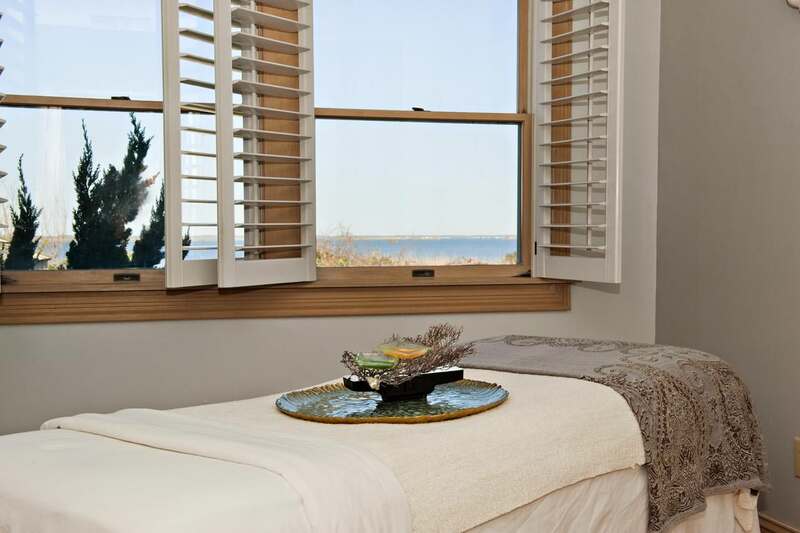 Have you ever wanted to snuggle up by the fire with a view of the immaculate coastline of North Carolina? 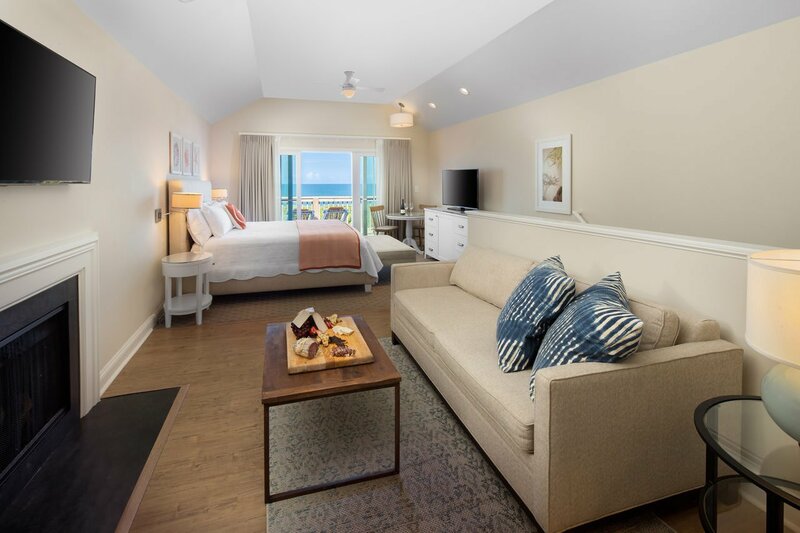 Head to The Sanderling in Duck, NC in the Outer Banks for one of the most luxurious resorts on the NC coast. 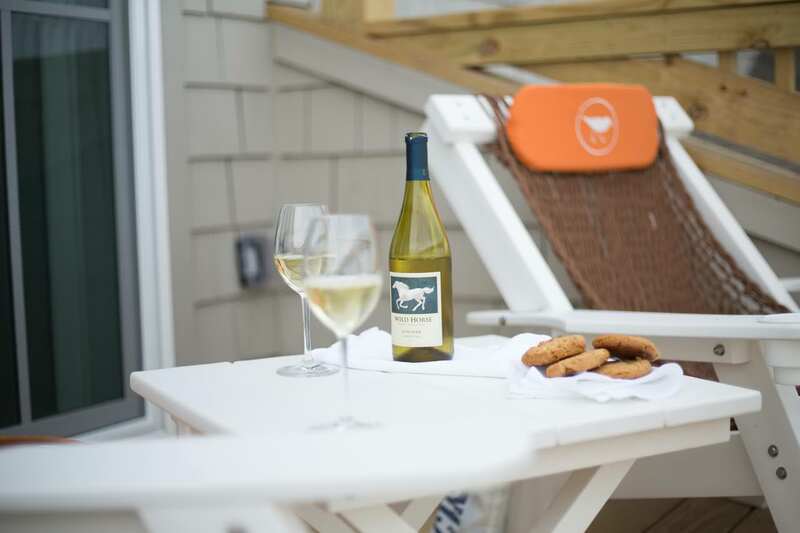 Enjoy a bottle of local wine and soak in some Vitamin “Sea”. Choose from three huge pools, including one adult-only pool next to a bar. 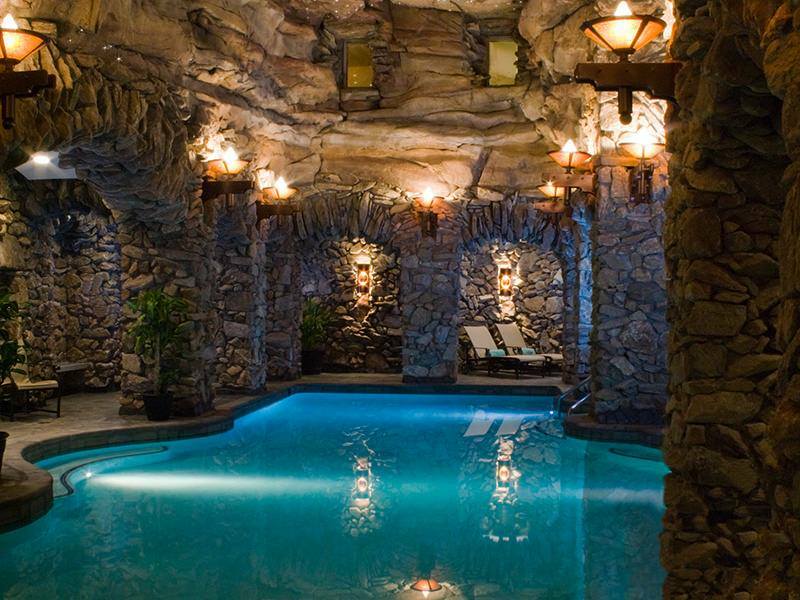 Be sure and check out the spa and get a treatment with elements of the ocean. Just a couple of examples include facials using serum applied with a tiger conch shell, sea salt scrubs and more. There are plenty of activities at the resort involving land and sea. 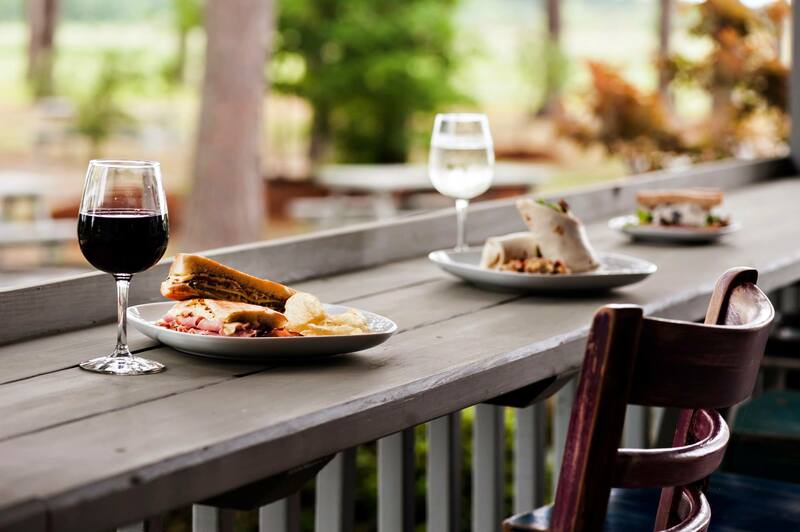 You can even take a wine cruise to Sanctuary Vineyards to sample local wine. While you are in the quaint town of Duck, NC, don’t miss these fun spots! After hundreds of trips to the mountains and previously living in the neighboring town of Hendersonville, I have never seen views quite like The Biltmore Estate offers. Just when I think I have seen it all, I am surprised by new views of these heavenly mountains at every turn. 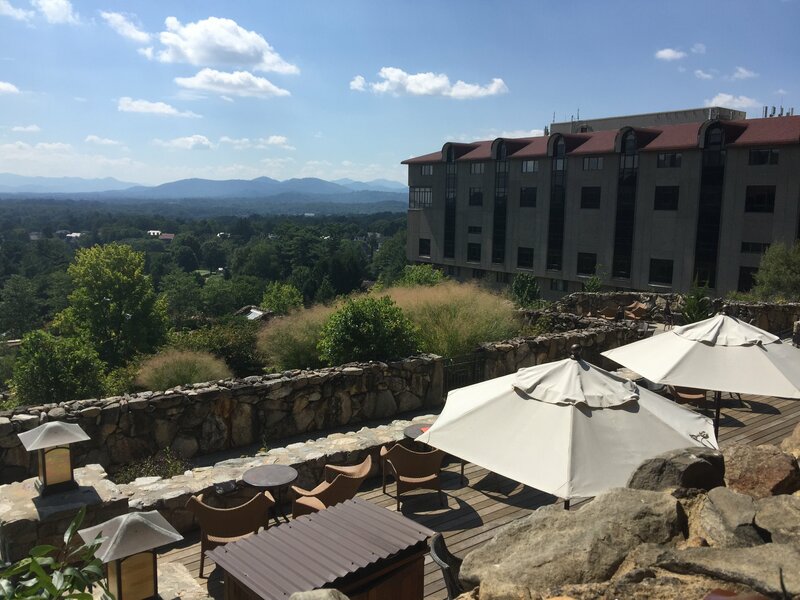 The view is one of the most special features of The Inn on Biltmore Estate. 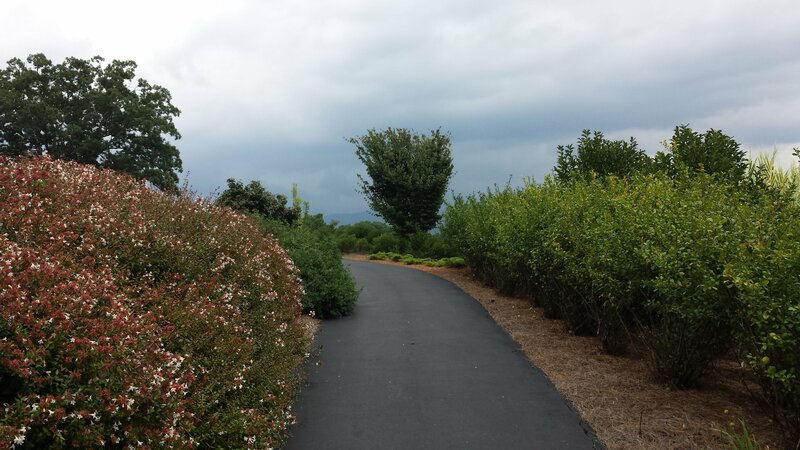 If you have visited Biltmore Estate during busy season, you likely share the views with lots of other people. 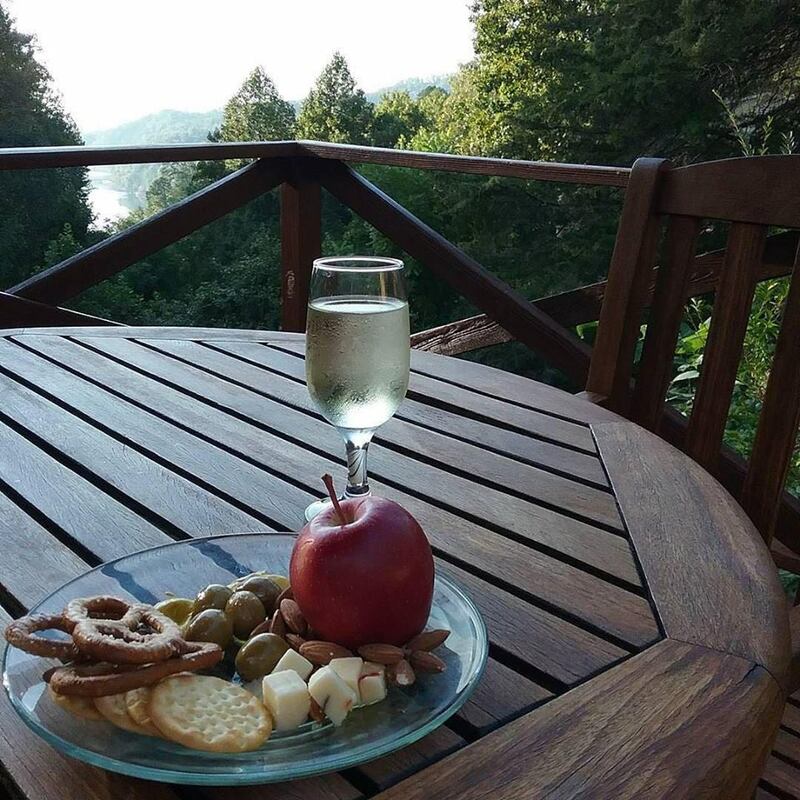 Staying on property offers new views that feel so far away from the tourist crowds of the Estate. Buying a room for one night is like buying a piece of those beautiful mountains, all for yourself. The smell of the fresh air, the peace of the atmosphere and the eye candy of the mountains is the perfect combination of paradise. If you want a state of the art fine dining experience, head to the restaurant at the Inn, The Dining Room. 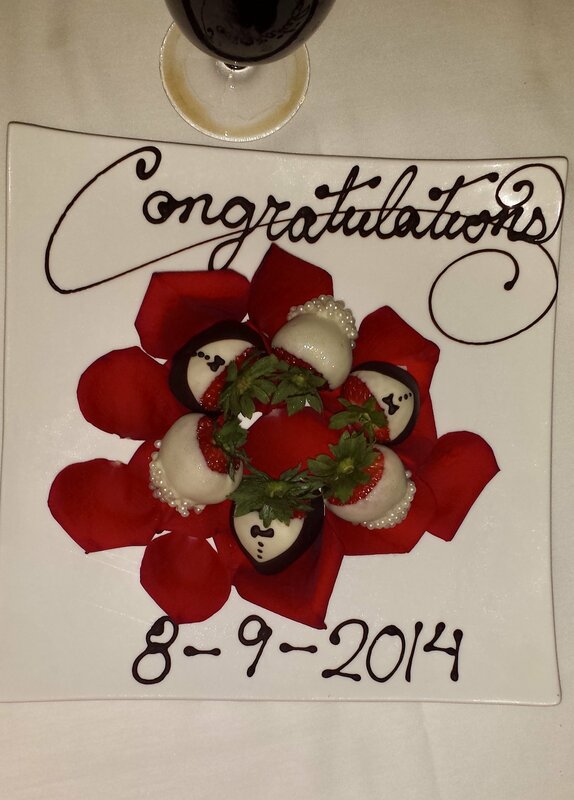 I highly recommend this place if celebrating something special. The experience is absolutely magical thanks to a backdrop of mountain views, phenomenal service and a touch of something extra for the celebration. Further, the farm to table food is fresh and exquisite to the taste buds. 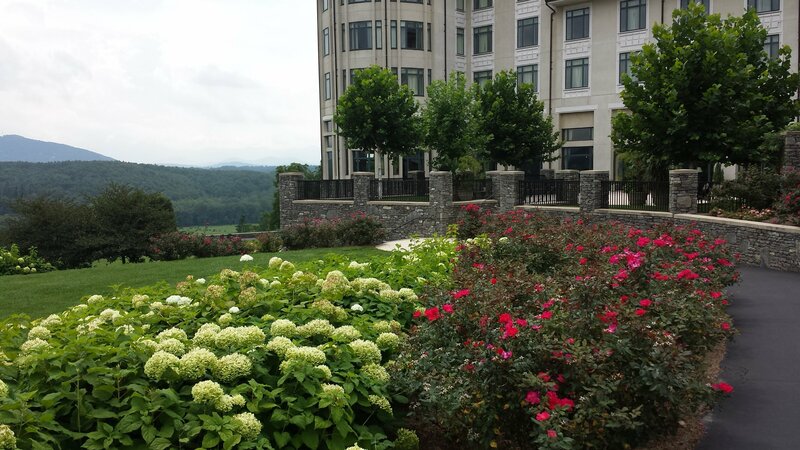 The Omni at Grove Park Inn is absolutely one of my favorite resorts in North Carolina. I have not made a trip to Grove Park Inn without feeling completely away from it all. If you have a chance to visit, you will be in wanderlust dreams! Just when you think this place doesn’t get any better, book a treatment at the spa and have the relaxation retreat of a lifetime. The inside is absolutely gorgeous and pictures do not do it justice! Try the Fire & Ice Treatment or at the very least, a signature massage. Be sure to make reservations at least several weeks in advance to secure an appointment. 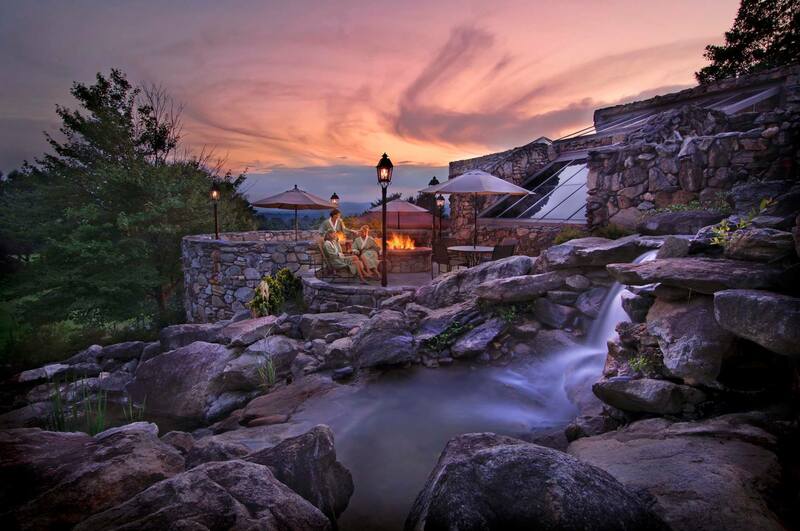 Ultimately, North Carolina has a lot to offer when it comes to wanderlusty resorts. Even if you are a North Carolina native, there is probably a hidden gem waiting to be discovered. Let me know in the comments if you know of a dreamy, NC resort that I missed! Where is your favorite place to stay in NC? I’ve stayed at Shell Island! My fiance and I went there one March. It was still super cold and there was no one else there, but we just wanted to get away for the weekend and enjoy the sounds of the ocean to jump start spring, and it was a great getaway 🙂 The Treetop Soaking Cabana at Lakeview at Fontana looks absolutely dreamy though! 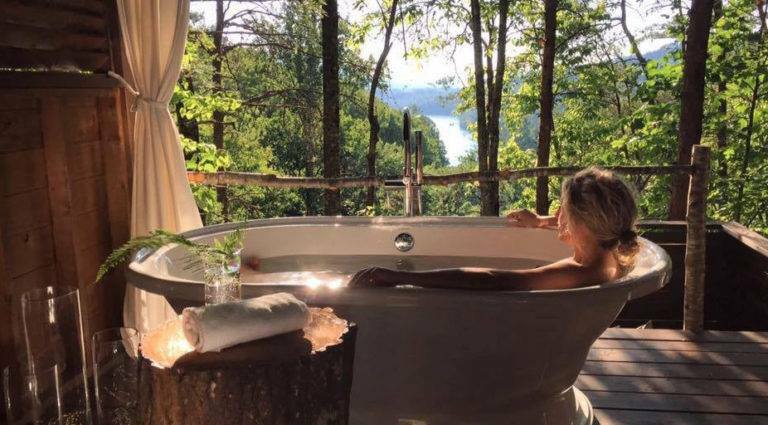 I’d love to soak in that tub after a long day hiking in the area (the Appalachian Trail runs right through there). 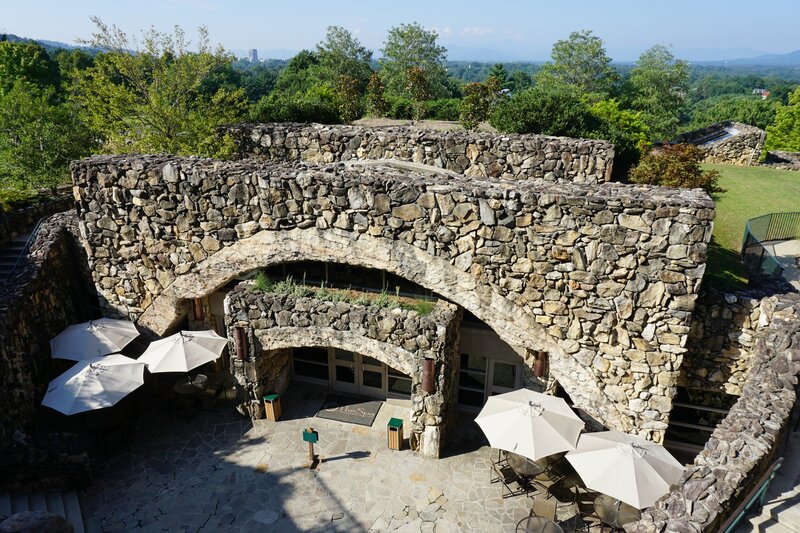 And I’ve always wanted to visit the Omni at Grove Park Inn! That’s so cool that you got to go to Shell Island! I thought it was so beautiful there. Yes the Treetop Cabana seems perfect after a hike 🙂 It looks like they have a nice trail! Omni is definitely worth a trip and so many beautiful views! I am pretty sure they have a trail there too but I haven’t gotten a chance to check it out yet! Puppies and Piña Coladas is a lifestyle blog for travel adventures, delicious food, fun products and more. Check out our About / Terms page for more information.